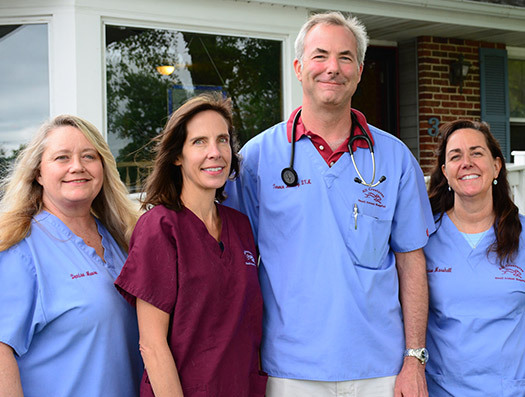 Meet the small, but dedicated staff at All Creatures Small Animal Hospital. You will not find a more personable, helpful and informative group in the area. Kristinn is married to Dr. McSweeny and has been part of All Creatures Small Animal Hospital since opening day. You may not see Kristinn up front, but she is very active behind the scenes. Any animal that has ever undergone anesthetic procedure at All Creatures has likely been under her watchful eye. She assists in surgery, monitors, and maintains anesthesia. Her care to detail and attention makes these procedures as safe as possible. 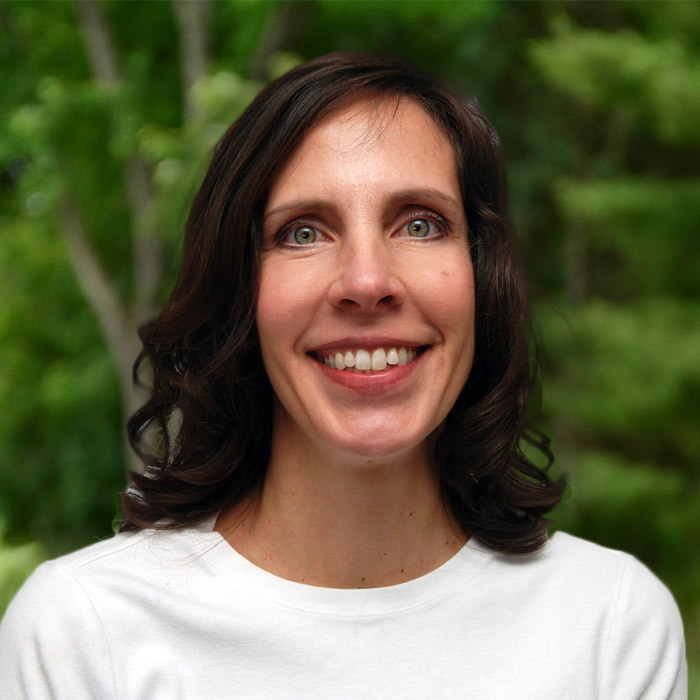 When not at All Creatures Small Animal Hospital, Kristinn enjoys family time with Dr. McSweeny and their three sons as well as gardening and exercising. 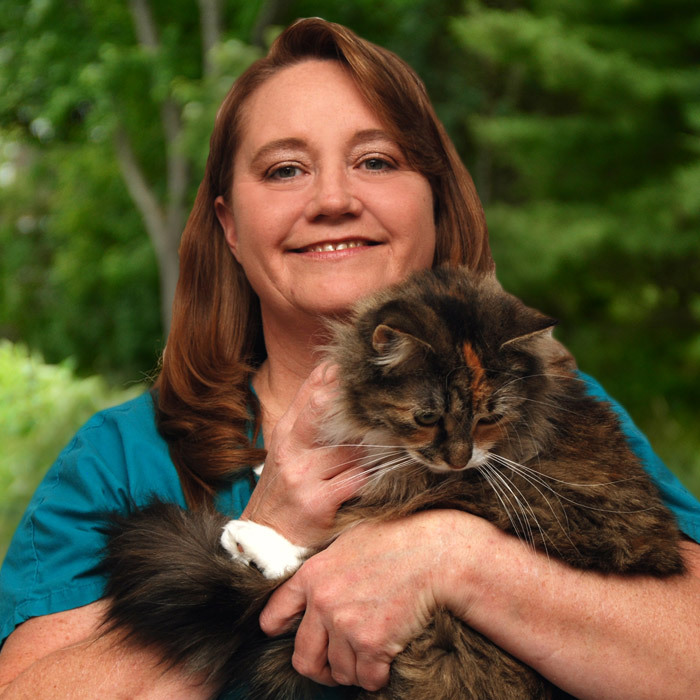 Denise (Afternoons) has been with All Creatures Small Animal Hospital since July 21, 1999. She has always had a passion for taking care of animals. She lives in Janesville with her two daughters, Christiane & Ashley. She enjoys spending time with her 2 girls, family, friends, and pets. In her spare time she enjoys cooking, baking, hiking and any new adventure that may come her way. Denise (Mornings) has been in the veterinary business for over 25 years. 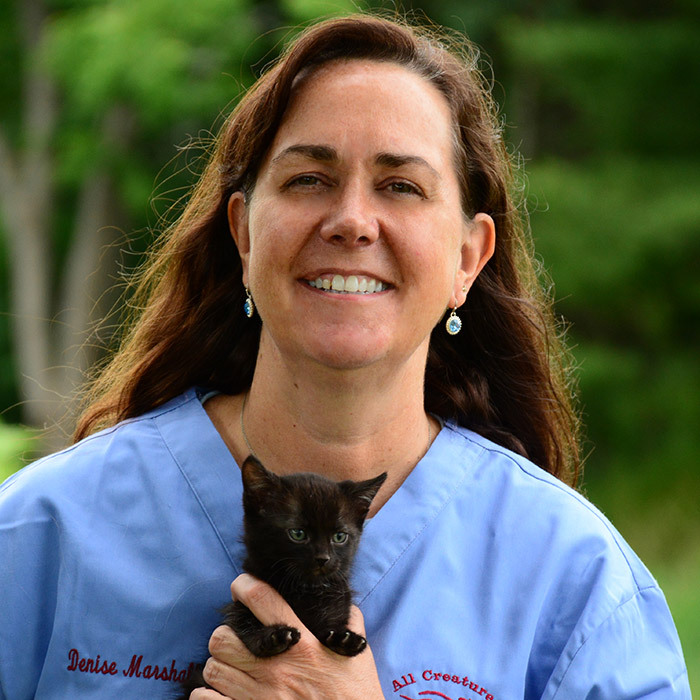 She met Dr. McSweeny when she first started in the veterinary field and he has played an active role in her animal education ever since. She eventually joined his practice in 2011 where she says feels like a family. Denise lives with her husband Rich and her four children, two sons and two daughters. You may see any one of her children here visiting or spending time with the Humane Society kittens at any given time. She also has two German Shepherds and two cats. She enjoys spending time with her family, taking her dogs to the dog parks and exploring hiking trails with her family and her dogs. She also enjoys movies, wine and getting to the beach as much as possible.